The best vacations you can take should encourage you to kick back, relax and relieve stress. It’s the allure of escaping the 9 to 5 and the daily grind that make vacations extra special. 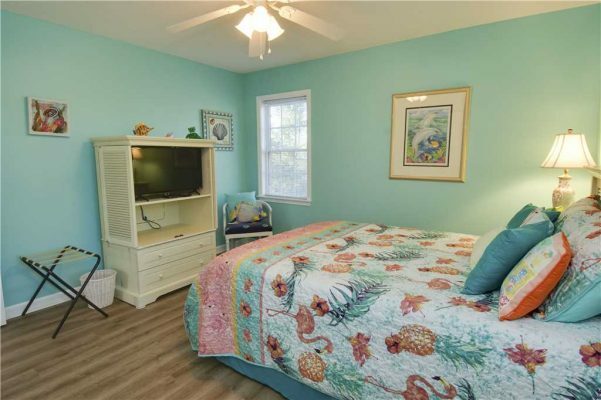 This week’s featured property, Sea-clusion is a charming middle row cottage that features four bedrooms, four bathrooms and some stellar amenities the whole family will enjoy. 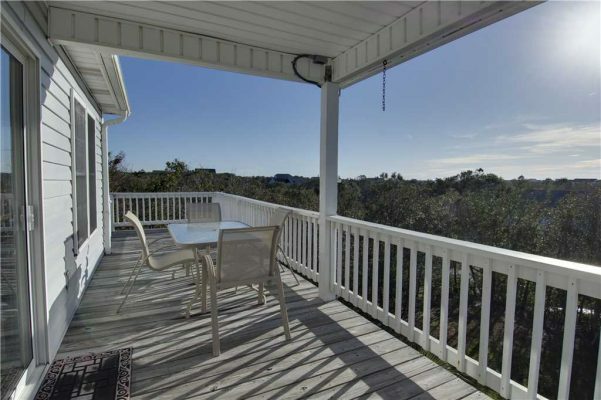 Its prime location makes this vacation rental standout as you’re a short walk away from the beach and conveniently located near a variety of fun local shops and restaurants. 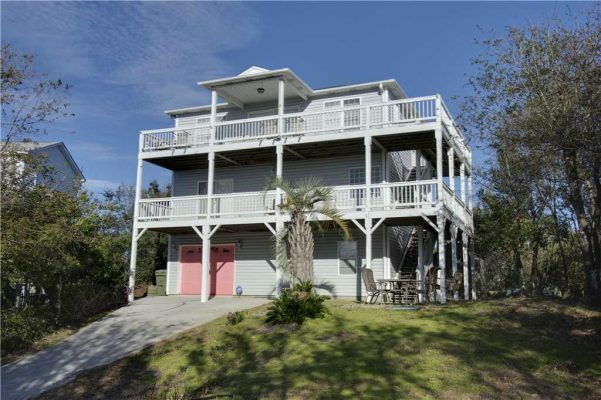 Sea-clusion is a three-story cottage that is nestled between plenty of trees and the natural topography of the Crystal Coast, giving you and your guests the utmost privacy while you’re on vacation. 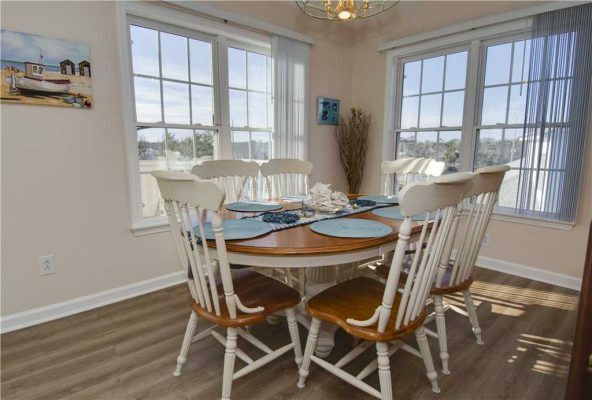 The cottage’s main floor is cozy and combines the kitchen, dining and living rooms into an inviting space that has a cute and nautically-decorated theme. The living room is very spacious and has plenty of plush seating for lounging around the wall-mounted flat screen TV. Behind the living room is the dining area, which has seating for six and is surrounded by a vista of windows that allow plenty of natural light to come in. For a more social setting, there are four counter-height barstools that are on the opposite side of the kitchen counter. 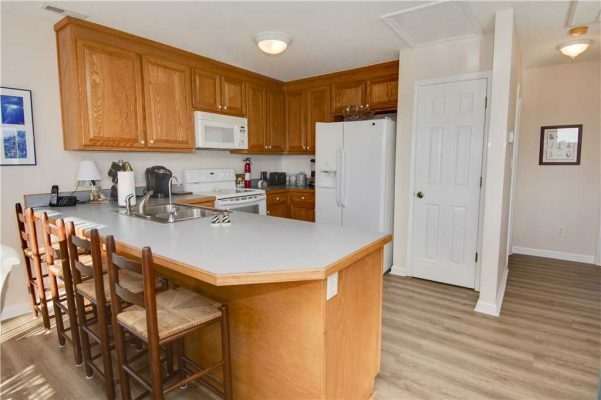 The kitchen is fully equipped with all of the essentials at your fingertips for cooking up your favorite meals or packing lunches for your days at the beach. For convenience, there’s even a Keurig coffee maker and a dishwasher to help make cleanup a breeze. 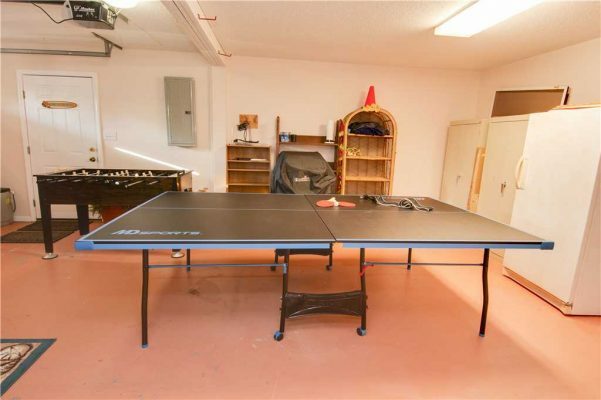 The ground floor is a great hangout spot where you and your guests can go head-to-head at intense games of foosball or Ping-Pong. Each story at Sea-clusion also has its own outdoor area, whether it be an outdoor deck or the ground floor where you’ll find a porch swing and a picnic table. 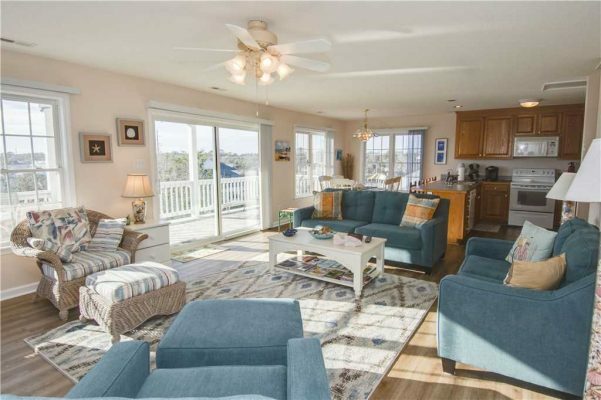 From the top floor deck, which is connected to the master bedroom, you’ll see a spectacular and breathtaking view of Emerald Isle that captures great light and ocean breezes. The cottage also has a washer and dryer to cater to your laundry needs and an enclosed hot and cold shower outside will help you keep the sand and grit from getting inside. 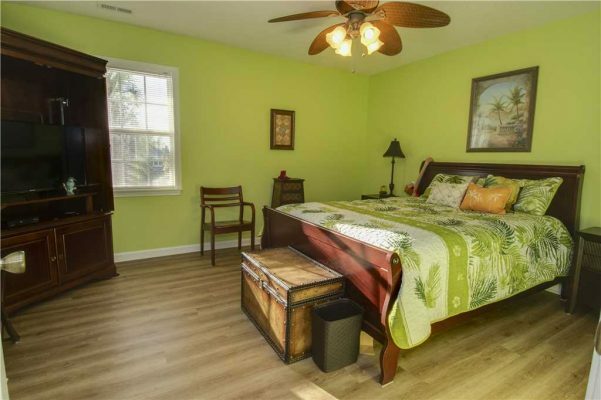 Sea-clusion has four bedrooms, each with its own queen-sized bed, and four bathrooms. 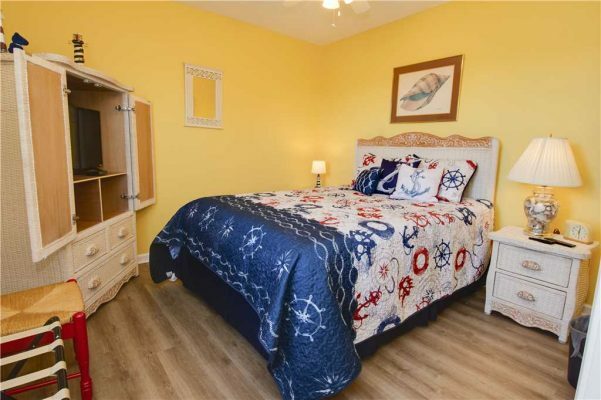 Two bedrooms at the cottage are master bedroom suites and are decorated with vibrant colors that compliment this coastal paradise. One of the master bathrooms has a large whirlpool tub that is great for spa-quality soaking that will help you relax after a day out and about. The other two bedrooms at Sea-clusion are spacious and equally as charming as the suites. These are also decorated with nautical themes to help channel the Crystal Coast vibes inside and out. Rest easy knowing that all of your bed linen and bath towel needs are taken care of by Island Club linen service. Beach access from Sea-clusion is a short walk away. 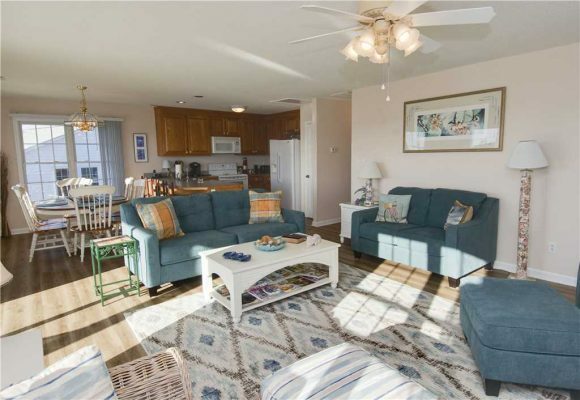 If you would prefer to drive or have a plethora of beach toys, you can take advantage of private oceanfront parking, which can surely come in handy. 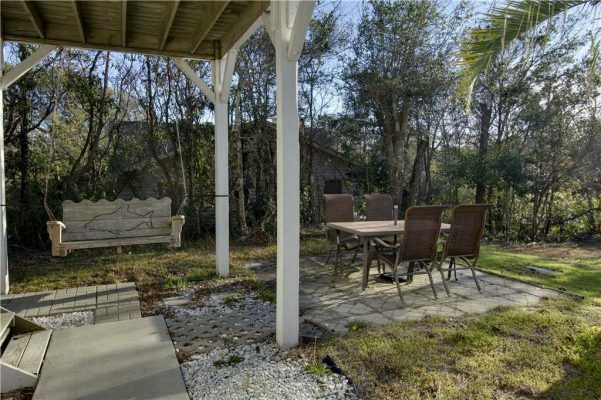 The property is also located close to Emerald Isle Drive which means you’ll be close to many of Emerald Isle’s local hot-spots. Since you’ll be close to both the beach and the town, one of the best ways to get around and take in the sights is by bike.  There are plenty of bike rental shops in town where you can rent beach cruisers that are suitable for anyone regardless of skill. There are two very scenic bike trails that take you down Emerald Drive and Coast Guard road, but one of the best trails to check out while you’re in town is Ocean Drive, which runs parallel to the beach. If you’re looking to try something new, you may want to try your hand at standup paddle boarding or kayaking Bogue Sound for a closer look at the native wildlife and the beautiful surroundings. There’s always something going on in town and the surrounding communities as well. During your stay be sure to check out some of our local festivals and events that will make your Crystal Coast experience even better! Sea-clusion is available year-round and is also available nightly in the summer and off-season. 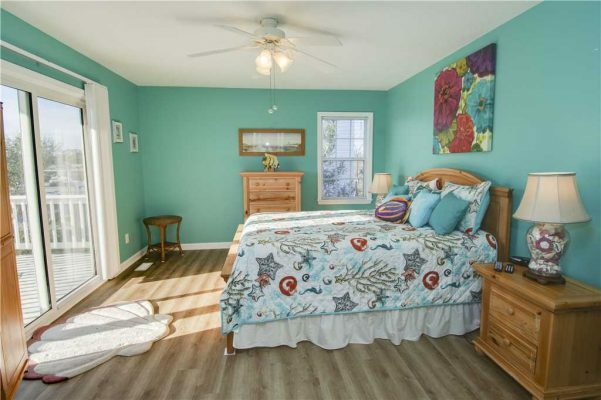 Be sure to check out more photos of this middle row cottage check its availability to start planning your next Emerald Isle getaway.